1.Control services is larger than Previous versions. Up to 60 degrees of throw on all control surfaces. Best for more vibrant aerobatic flight. 9. Improved new Axle kits.the material of Axle is stainless steel . 10. Larger carbon fiber wing tube diameter than V3 Previous versions. 11. 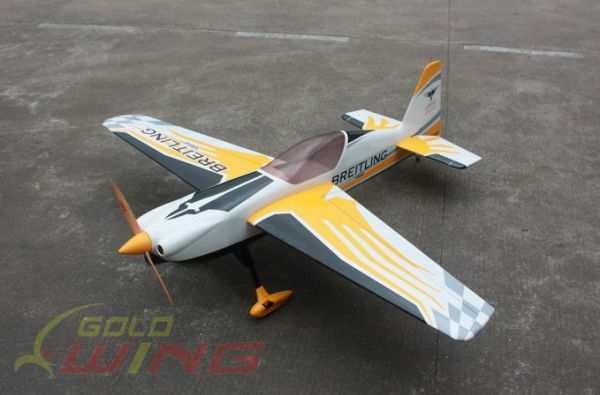 This V4 new design with a longer fuselage moment arm aids the tracking of the model, giving it rock sold precision flight. Making it perfect for modern day flight schedules for IMAC and Freestyle competitions.